I’m a firm believer that you often learn a lot more about a place by exploring it than you ever will by sitting at a desk and reading briefings. Particularly if they come from somebody like the CIA. Indonesia Etc certainly proves that although it definitely helps that the author, Elizabeth Pisani, knows the place, speaks the language fluently, has spent a long time there and isn’t afraid of getting her hands dirty. Equally important it’s clear she loves the improbable place. She’s spent long spells in the country writing for Reuters and The Economist and then working on HIV and AIDs research. To write this book she simply set out – most often on boats, buses and motorcycles – and explored the back blocks (ie little visited islands) of the confusing mess of a nation. For a year in total. 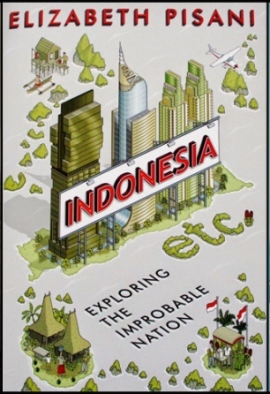 It’s a totally riveting read and a wonderful investigation of how and why Indonesia works – and sometimes doesn’t work. Politics, the economy, religion, history, disasters, education (and its failings), elections, they’re all here. Plus a lot of hard travel, if you’ve ever set out deck class on a Pelni ship you’ll feel totally at home and if you’ve never been to Indonesia before you’ll be thinking it’s time for a visit.